Autumn is a mercurial mixture of equal parts speculative fiction author, game creator, spoken word artist, incorrigible polymath, aspiring neurobiologist, and queer, hard-femme transfeminist. Her educational talks on transgender issues blend theory with practical advice on how rethinking our ideas of gender can help us create more inclusive colleges, workplaces, and communities, and her spoken word performances swing lyrical sledgehammers to crack the shells of ossified ignorance imprisoning the privileged. 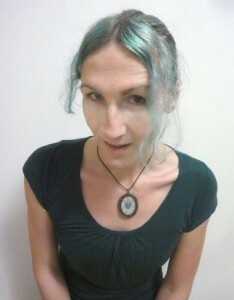 Her writing has appeared on PrettyQueer.com and her short stories are available through Smashwords.com. She dreams in digital, and lives in neon.